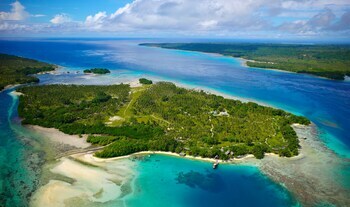 The cheapest flights to Vanuatu found within the past 7 days were AU$562. Prices and availability subject to change. Additional terms may apply. Sun., 11 Aug. - Sat., 17 Aug.
Wed., 10 Jul. - Mon., 15 Jul. Your flatmate’s attempts at meat pies and chicken parma are nice, but sometimes you just want a five-star chef to whip up the best meal you’ve ever had. If you can get it while you’re on a beautiful island in the South Pacific, even better, right? 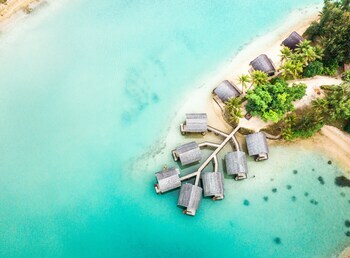 All you have to do is book one of lastminute.com.au’s cheap flights to Vanuatu and bring along your legs and your mouth. And maybe some pants. Pants are good. It’s a 6km taxi ride to the capital of Port Vila once flights to Vanuatu land at Bauerfield International Airport (VLI). Even if you’re flying on to Luganville Airport (SON) on Espiritu Santo, Port Vila is worth a stop. Many tours operate out of the capital, and a car rental from lastminute.com.au is also a great option. At the Port Vila morning market, the sugar rush of fresh grapefruit will wake up early birds, and laplap (yam cooked with coconut cream) will keep you going all day. If you’re on one of the afternoon Vanuatu flights, you’ll still have plenty of time for a trip to the Mele Cascades waterfall. Conquer the slippery slope and go for a dip in the cool water as your reward—andthe chance to take someawesome snaps for your Insta. No matter where you book Vanuatu hotels, those arriving at night can get right to the good stuff, if they dare: Down a shell of kava and get euphoric. Just don’t forget the chaser. You should really eat something with that kava. In Vanuatu, a French twist on traditional ingredients leads to delicacies like coconut prawns and garlic escargot. Too bad you can’t bring any back for your flatmate! 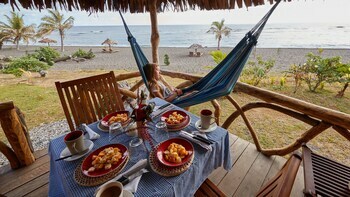 Once you’re done Googling images of food, check out Vanuatu holiday packages on lastminute.com.au. We’ll take care of your airfares and hotels in one go, so you can get back to listing all those things you want to eat. Question : Are there cheap flights to Vanuatu available? Answer : Absolutely! We've found flights to Vanuatu starting from AU$562. If tickets get any cheaper we'll be paying you to fly to Vanuatu. With the money you'll be saving, look into a nice hotel for your stay or check out the sights to see and activities to experience while you're in Vanuatu. Act quickly and book your flights to Vanuatu and other destinations today! Question : What airlines fly to Vanuatu? Qantas operates 48 flights per week from Melbourne to Port Vila. Bangkok Airways operates 14 flights per week from Melbourne to Port Vila. Qantas operates 13 flights per week from Sydney to Espiritu Santo. Air France operates 5 flights per week from Adelaide to Port Vila. Air Niugini operates 3 flights per week from Melbourne to Port Vila. Question : What sights should I see in Vanuatu? Answer : Vanuatu is full of popular attractions. First, we recommend visiting Vanuatu's top sights like National Museum in Port Vila and Parliament House in Port Vila. When you are done there, why not visit other hotspots like Millennium Cave Tour Office in Luganville or Vatthe Conservation Area in Luganville? There are so many great places to see in Vanuatu that you won't be disappointed on your next adventure! 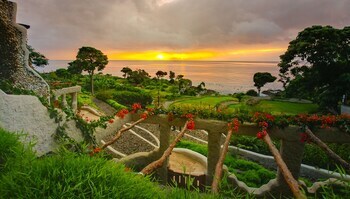 Question : What are the best hotel deals in Vanuatu? 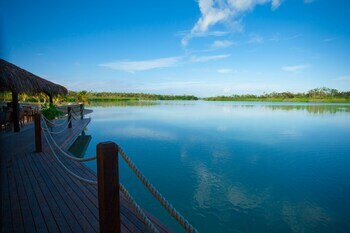 Warwick Le Lagon - Vanuatu is located in the popular city of Vanuatu and has a 4.50 star rating. 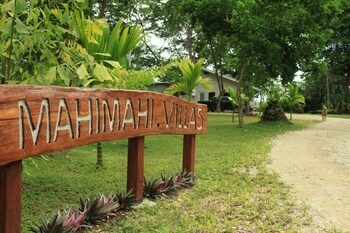 Nestled on the beach, this Port Vila resort is within 3 mi (5 km) of Parliament House, Port Vila Market, and Pango Point. National Museum and University of the South Pacific are also within 3 mi (5 km). Nasama Resort is located in the popular city of Vanuatu and has a 4.00 star rating. 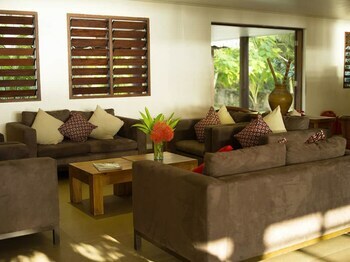 Nestled on the beach, this Port Vila resort is within 3 mi (5 km) of Parliament House, Pango Point, and Port Vila Market. National Museum and University of the South Pacific are also within 3 mi (5 km). 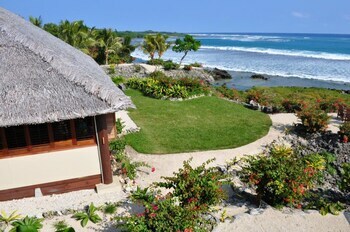 Iririki Island Resort & Spa is located in the popular city of Vanuatu and has a 4.50 star rating. Nestled on the beach, this Iririki Island resort is within 1 mi (2 km) of Parliament House and Port Vila Market. National Museum and University of the South Pacific are also within 2 mi (3 km).